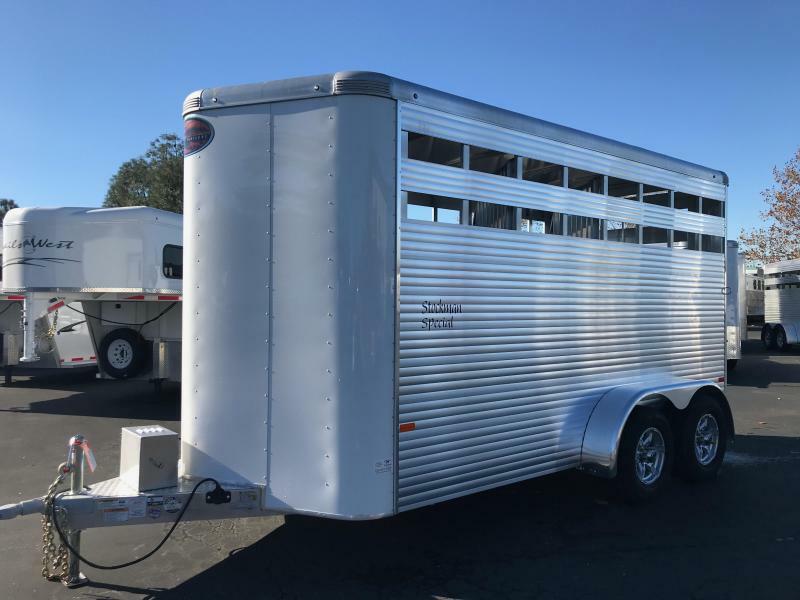 The Rancher is standard 7' tall and 6'9" wide. 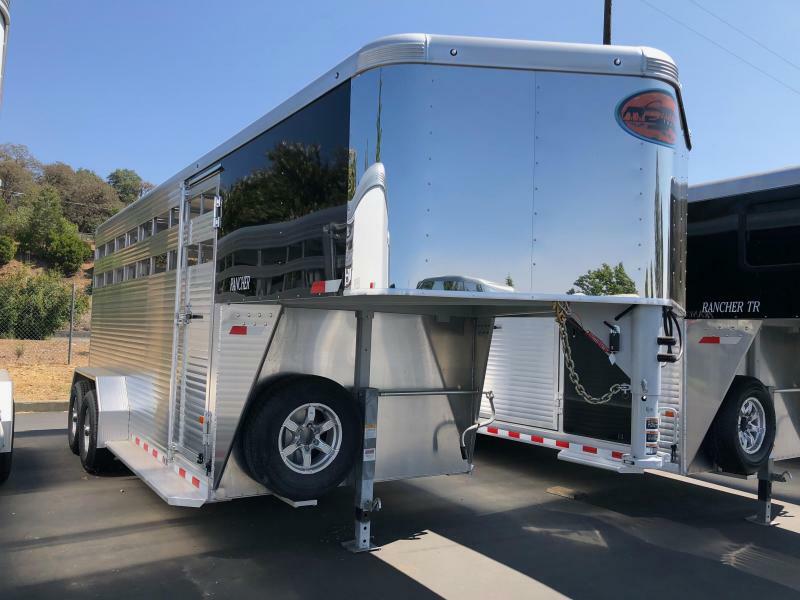 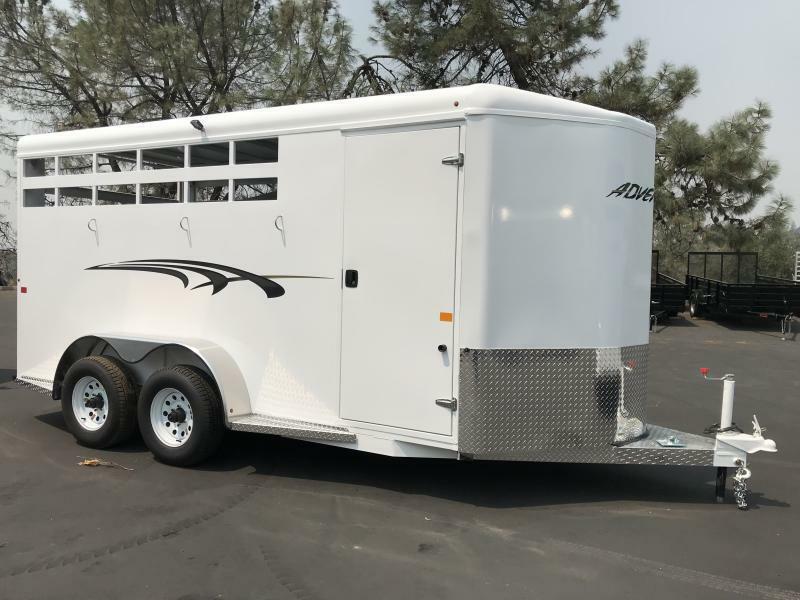 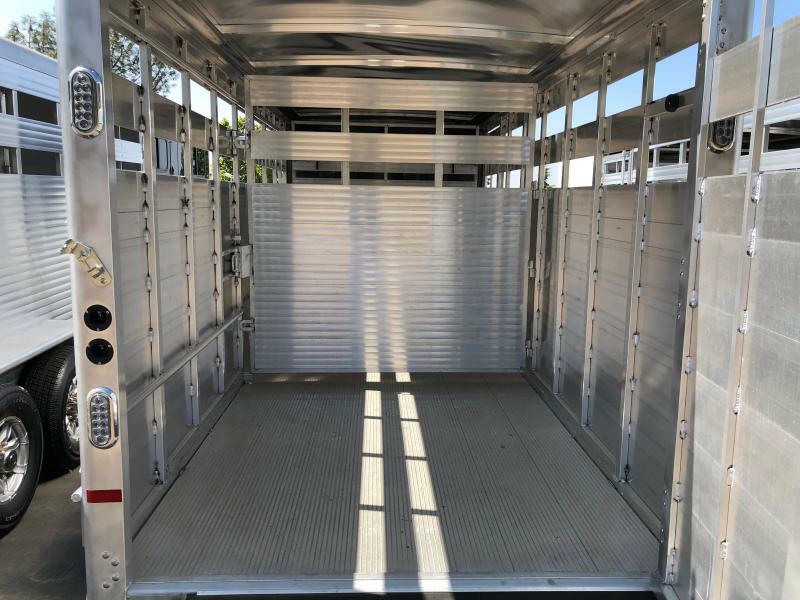 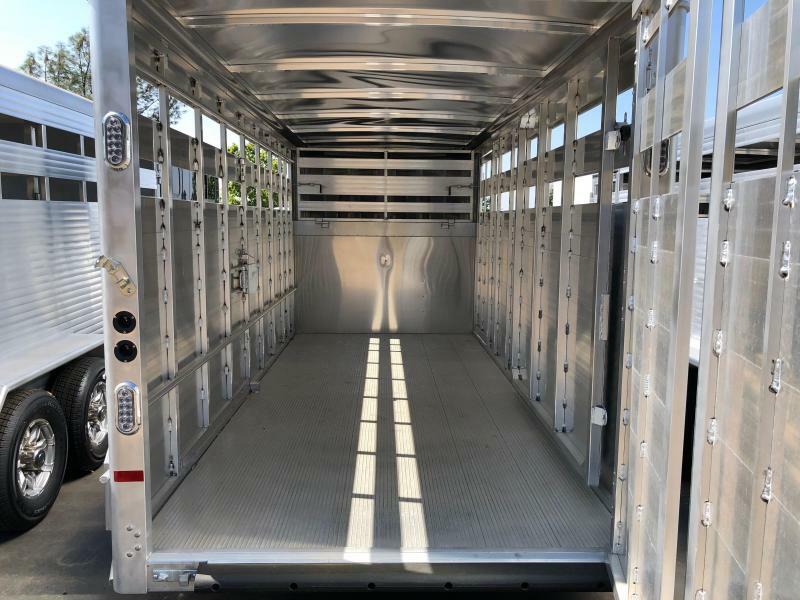 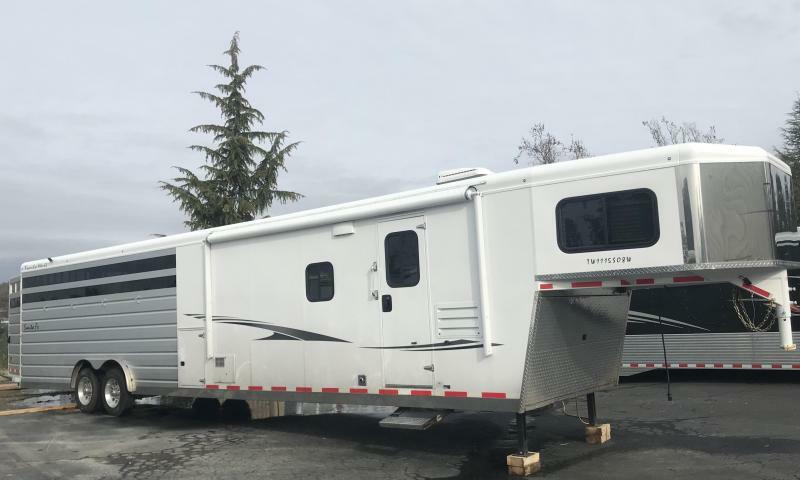 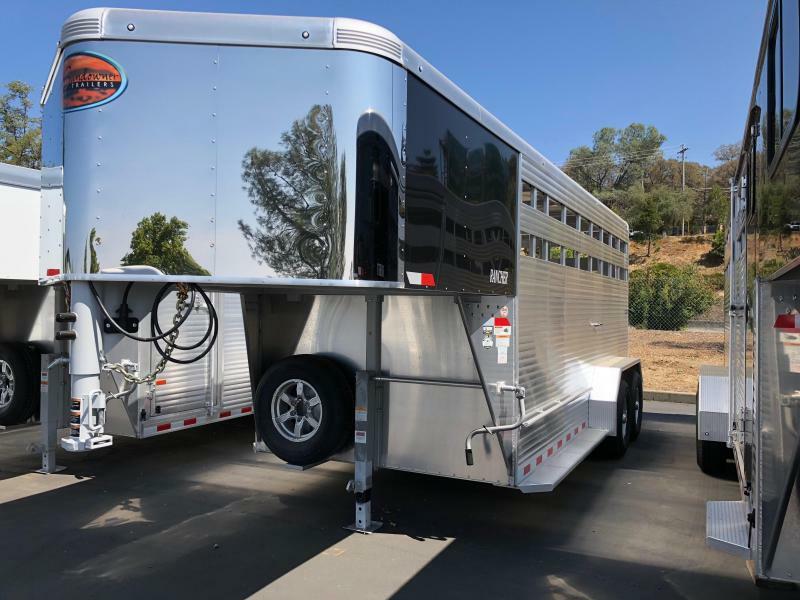 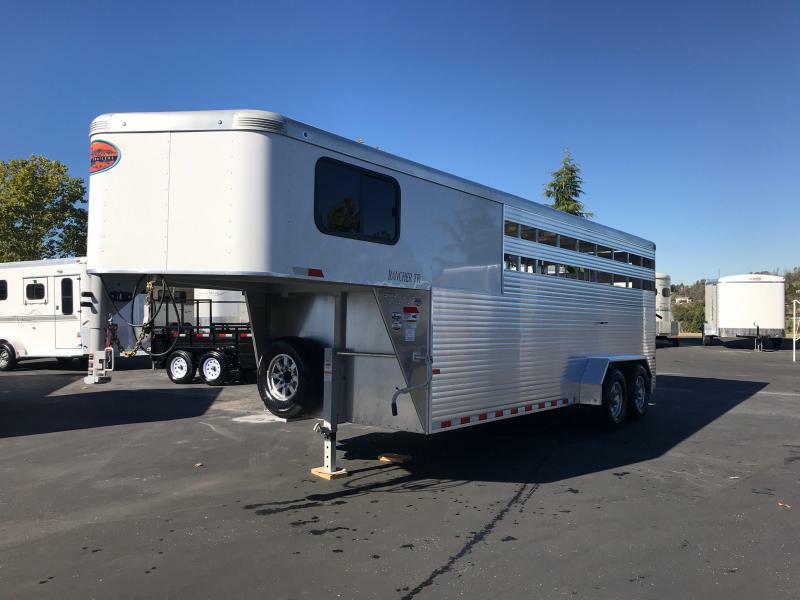 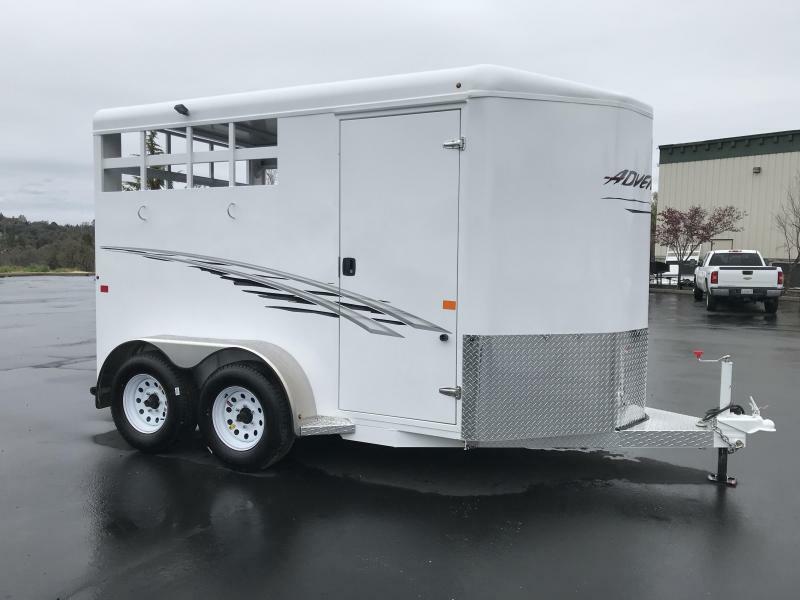 Standard equipment also includes a full swing rear gate with sliding calf gate, a center cut gate, a fold down calf gate in the nose compartment and a side access door with full height cam latch. 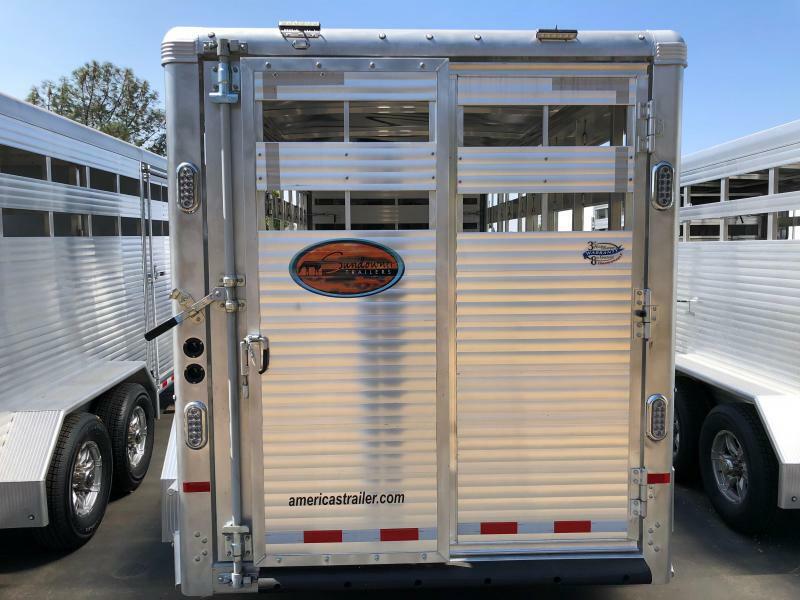 The Rancher is built with tough, extruded side walls including 2 air gaps that are Plexiglas ready.